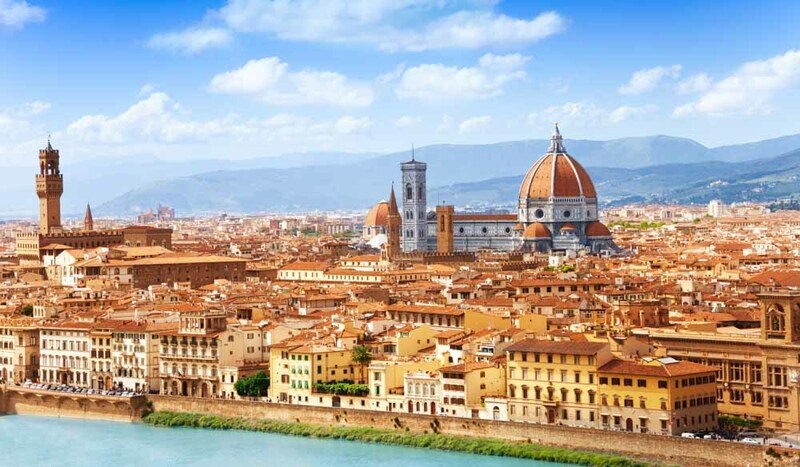 Laudomia Pucci, designer gives us their personal, insider guide to his city of Florence. Favourite places to eat out? Fulvio Pierangelini’s cuisine at Hotel Savoy has got the best ingredients, always; I love the feeling of pretending I’m a tourist in Florence. For dinner, Coco Lezzone for mascarpone cream with raspberry. For a snack I love the truffle sandwiches at Procacci, just off the Piazza della Repubblica; you can have them with tomato juice and they are just exceptional. Procacci is known by every Florentine. Trattoria Cammillo, on Borgo San Jacopo, is a Sunday lunch must; I love the spaghetti alla bottarga and fried mozzarella. The food is rich, so you have to go for a jog in the hills afterwards! Where do you love to go for drinks? The seaside in the summer: Champagne or a bellini cocktail at sundown for the beautiful light and peace. 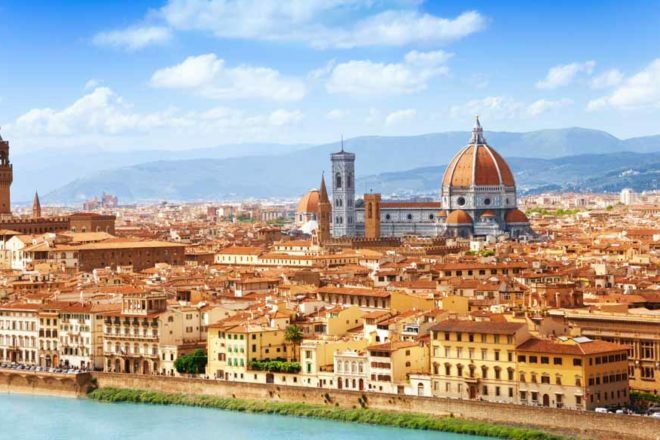 Where’s your favourite cultural spot in Tuscany? Galleria Continua in San Gimignano and the Opera Duomo Museum, which is just one of the most beautiful places with incredible religious art in a modern setting; you just have to go there. I go to Luisa Via Roma to shop. It’s a fashion concept store and is great at showcasing new talent. Both luxury and contemporary all at once, it has everything from fashion and jewellery to skateboards! Best flower shop in the city? I strongly recommend Sebastian, the flower magician of Florence at Hotel Savoy. He is a real genius.